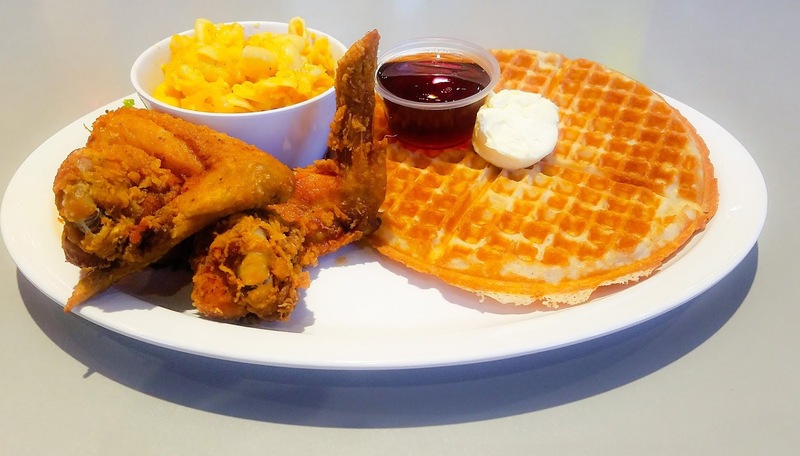 Mr Sweetie has been obsessing over fried chicken and waffles for weeks. The poor man was being tortured with his unhealthy cravings. Since he is good most days of the week by eating turkey sandwich for lunch, I indulged him. 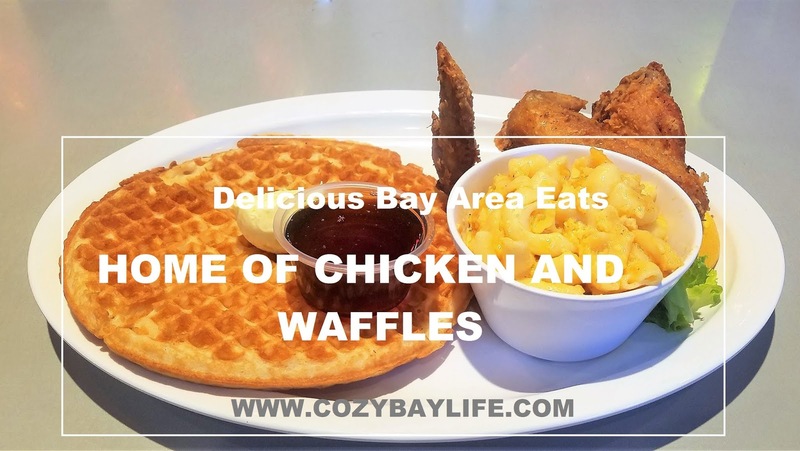 For date night, we went to Home of Chicken and Waffles. I will let the pictures do the talking. The restaurant's name pretty much sums up its menu. 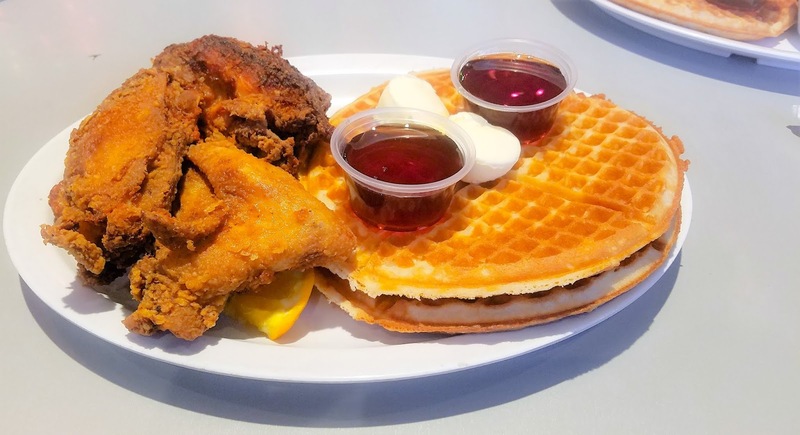 The man got his chicken and waffles that haunted his dreams for weeks. I got mine as well. The only difference, aside from the portions, was I also got a side of mac and cheese. As always, while my attention was somewhere else, the man went to chicken town! The bigger plate with 4 pieces and 2 waffles were his. 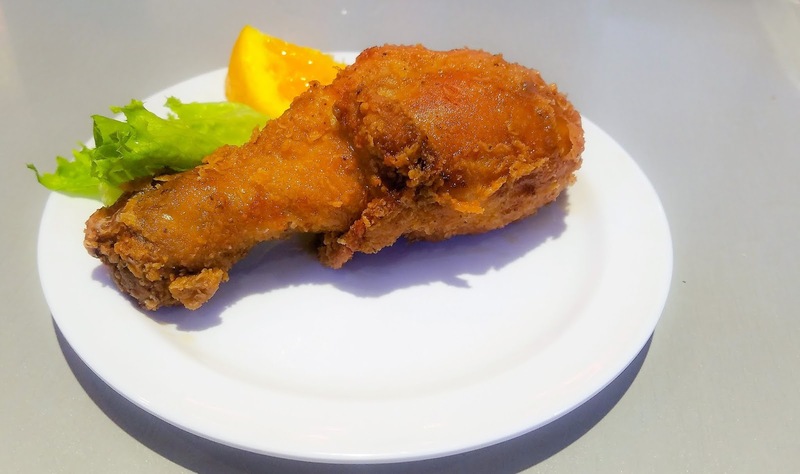 It was such a big plate that an extra drumstick was brought to our table later. 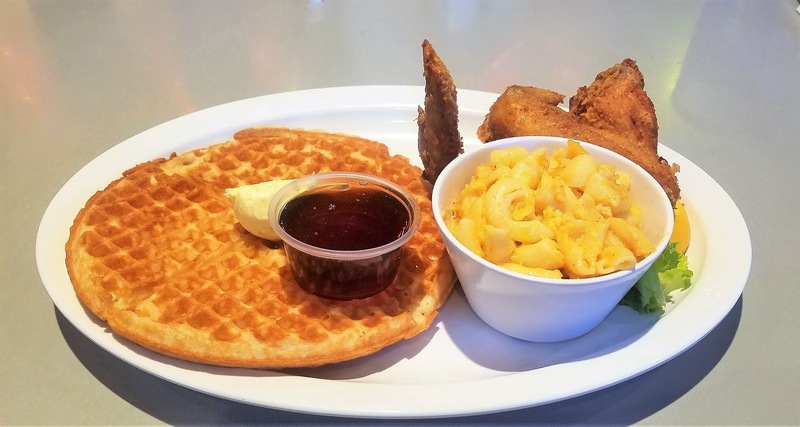 I had the plate with 1 waffle, 2 chicken pieces and mac and cheese. 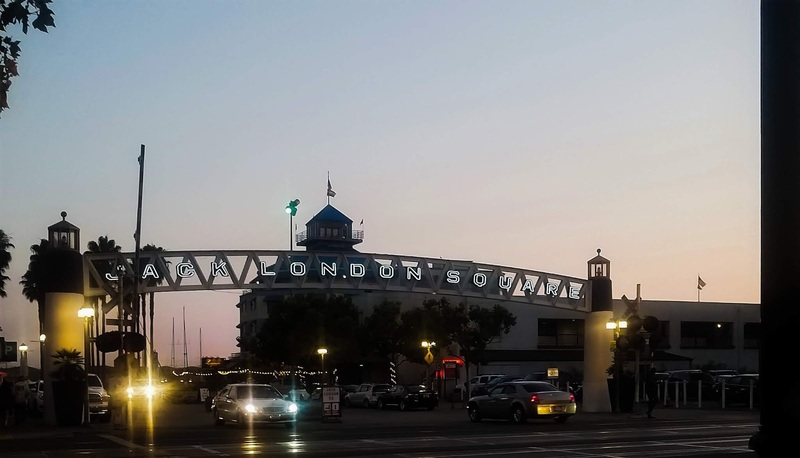 HCW is located at the lovely Jack London Square. 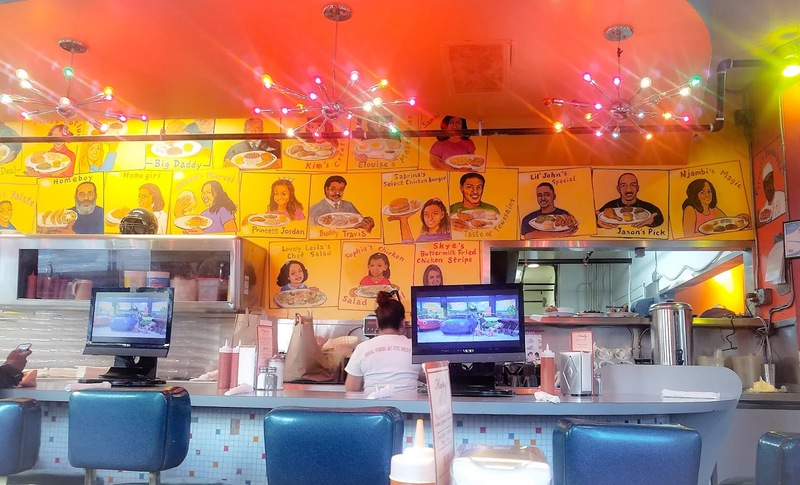 The decor is casual and fun that expresses its soul food cuisine. The chicken was moist but I was not really in the mood for fried and slightly greasy. I also like my waffles fluffy. HCW's signature waffles are thin. We have been to HCW many times over the years and I enjoyed my meal of salty, sweet and spicy (hot sauce) when I was in the mood for it. The most important thing was Mr Sweetie was happy.